Are you worried about your spending habits? If you are then maybe it is time to check out the things that you could spend less on without it affecting your life adversely. Here are some easy ways to do this that you might simply never have thought about before now. When I worked in London I remember that commuting took up an absurdly large part of my monthly budget. It was only after a few months of struggling that I realised that getting up half an hour earlier and walking a reasonably short distance would take me to a different travel zone and make my journey cheaper. 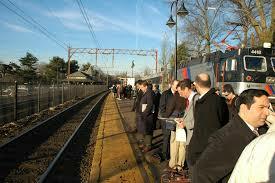 The way that you can save on your commuting costs depends upon where you live and work. Maybe you can walk like I did, maybe you can ride a bike or perhaps you can share a car with a neighbour. By thinking about it a little I am sure that most people can find some way to spend less on travelling to work each day. I have always been a sucker for strolling along supermarket aisles. It isn’t so much the corny 80s music that gets me hooked, although I do love it all the same. You see, ever since I was a kid I have been an avid supermarket bargain hunter. If there is a 2 for 1 offer or a yoghurt that has been reduced just before its expiry date then you can be sure that I can find it. Yet, I see other people blithely throwing expensive branded goods into their trolleys without even looking at the bargains around them. This is fine if you have money to burn but with a bit of time you can probably find savings on most of the things you can buy. For example, you could look for multi-buy offers or try a cheaper brand to see if you like it as much. Take a quick look online at ways of saving money on domestic bills and you will find tons of them. From turning down your home’s heating a degree to switching to a new electricity supplier and ways of saving water, there are more ideas than you could find time to implement. Some of the easiest can be done online, such as comparing domestic energy suppliers. Take a look at some of the ideas mentioned here and you are sure to find some that are easy for you to implement at home. Even just opening and closing your curtains at the right times of day can save you some money over the course of a year. If you have loans and credit cards then you might think that you are simply stuck with them until they are eventually paid off. That’s not entirely true, though. It can be simple to get a better deal if you look around for them. A good example is with credit cards. Getting a new one which offers 0% interest on balance transfers for a limited period can save you a lot of money and let you pay it off quicker. In general terms, the quicker you pay off your loans and credit cards the better. In this way, you will also want to avoid only paying the minimum monthly repayment amount on cards. If you do this then all you are really doing is paying off the interest without reducing the amount you owe by much, if at all. If it means that you will pay a lot less interest in the coming years then you could also consider consolidating your debts with a lower interest rate loan from a company like Zopa. If you do decide to move your debts around then be sure that you don’t then fall into the trap of building up more debt afterwards, as you start to feel confident with having a little more cash to spare. We can see then that there are lots of different ways to save money, sometimes it just requires a little bit of time and thought for big savings to be made. What things have you learned to spend less on over the years? Groceries is always an easy target to spend less on, because of the massive amounts of ways to reduce the bill – eat less expensive food, use coupons, use generic products, etc, etc. Once you’ve mastered the art of cutting your grocery bill, the same skills can be applied to other expenses.